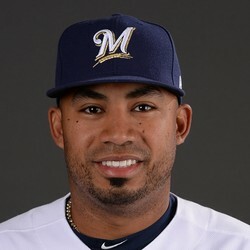 Junior Guerra pitched two perfect innings for the save in the Brewers' 4-1 win over the Dodgers on Saturday. It was all zeroes for Guerra: zero hits, zero runs, zero walks, zero strikeouts. Josh Hader would've presumably been called upon had he been needed, but Guerra had the game under control and the Dodgers never mounted a legitimate threat. Don't expect many more saves out of Guerra this year.